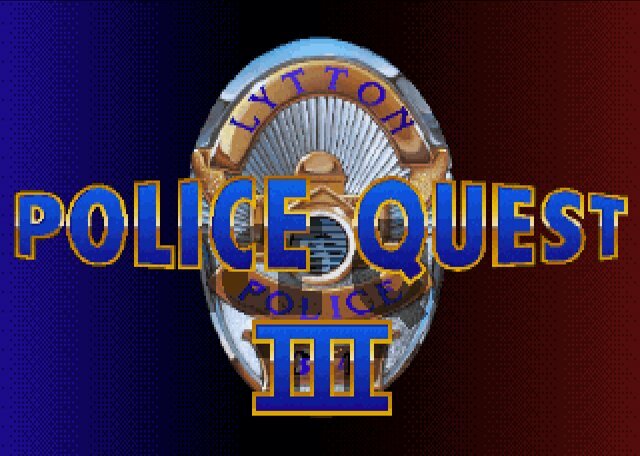 This past week I went to the Thrift Store across the street from work and came across a classic PC game title, Police Quest III: The Kindred, vintage 1991. For a few bucks, it was a pretty good deal. I never managed to finish this game before, because the copy I had would always crash at a certain point. Now, I could own a 100% legal version, complete with handbook, which like every Sierra game, contains a lot of useful information toward completing the quest. Out came the 5¼" floppy drive. For some reason, modern motherboards can still use these. I was pleased that I could just "dd" each of the six diskettes without any problems whatsoever. Experience has shown that these hold data way better than the 3½" disks. The game ran fine under DosBox. I only needed to address the Hints file once or twice. The game only took two evenings to complete. However, there were several annoying bugs in the game. The most annoying bug was that my wife did not recover from her coma, even though I think she should have. Oh well.